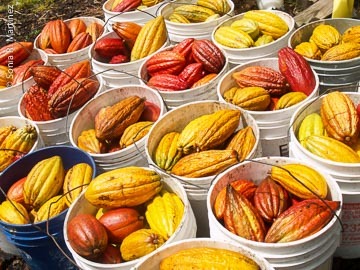 Freshly harvested cacao pods at Kokoleka Lani.Kokoleka Lani Farms, at 1200 foot elevation in the Keauhou mauka area of Kona, is a 12-year-old cacao and coffee farm owned by Greg Colden. The 5-acre farm sits on what is known in the area as Tanaka Hill, the highest elevation of what not long ago was the Tanaka Blue Rock Quarry. Greg currently has about three-and-a-half acres under cultivation. 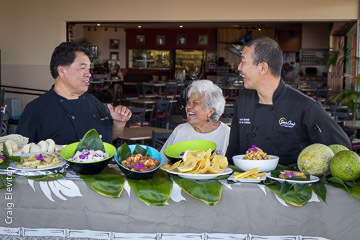 In a new educational video about cooking with breadfruit, celebrity Chef Sam Choy, cultural practitioner Shirley Kauhaihao of Honaunau and Chef De Cuisine Scott Hiraishi of Sam Choy’s Kai Lanai explain how to prepare breadfruit from start to finish.The Ho‘oulu ka ‘Ulu project to revitalize breadfruit has just released a series of videos and publications to assist Hawai‘i’s breadfruit growers in supplying grocery stores, restaurants and farmers markets with high quality fruit, and to help chefs become more familiar with breadfruit handling and preparation in the kitchen. Backyard growers, consumers and educators will also find the information pertinent to home and community use of breadfruit. The color, 24-page Breadfruit Production Guide: Recommended Practices for Growing, Harvesting and Handling is aimed at breadfruit growers. The guide details best practices for harvest and postharvest handling to optimize value in the marketplace. Breadfruit is often mistakenly picked at the green or immature stage. The guide explains how to identify and pick breadfruit when it is mature, at its optimal flavor and marketability. A corresponding video Harvest and Postharvest Best Practices provides a visual demonstration of the key practices outlined in the Breadfruit Production Guide. Sam Choy's Kai Lanai was filled to capacity for the Rancher's Dinner.On Friday, February 28, 2014, Chef Scott Hiraishi, Executive Chef of Sam Choy’s Kai Lanai Restaurant, presented an outstanding Five Course Plus menu in appreciation of the many ranchers, farmers and purveyors that supply their kitchen with island grown bounty. Besides the farmers and ranchers present, the invited guests to the party included media and friends. All guests received a beautiful wooden handled steak knife engraved with the event name and restaurant logo and a ‘feed sack’ full of goodies. A large percentage of open pollinated papayas contain genetically modified DNA.Do you know if your papaya trees are GMO? I thought I did. I thought that since I raised trees from organic papaya seeds from a seed exchange or health food store, they were pretty certainly non-GMO. But I wasn’t positive, so last February I attended a “Seedy Saturday” workshop that included free testing of papaya trees. I learned about papaya genetics, cross-pollination, and how to ensure you grow non-GMO. 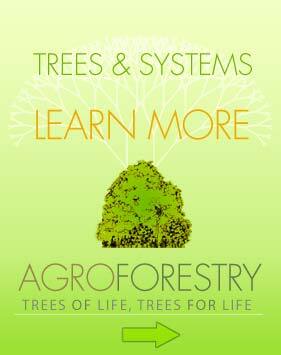 And I learned that at least 6 of our roughly 50 trees were GMO. This issue marks the fifth anniversary of Hawaiʻi Homegrown Food Network Newsletter. We thank you, our subscribers, web site community members, friends, and ʻohana, for your interest and engagement in local and sustainable food in Hawaiʻi. Through the years, particularly through our work to support the revitalization of ʻulu (breadfruit), we have come to realize that local and sustainable food is much more than crops, horticulture, and markets. Itʻs about culture, community, and deep relationship to the natural world where we live.